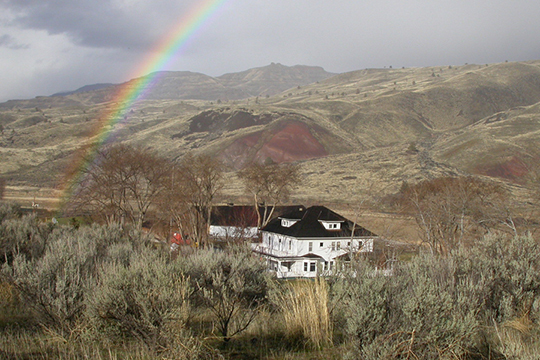 Photo: North facing view of the historic James Cant Ranch; now a National Park Service cultural history museum in the John Day Fossil Beds National Monument; near Dayville, Grant County, Oregon. Listed on the National Register of Historic Places in 1984. National Park Service, photographer unknown, not dated, [public domain], via Wikimedia Commons, accessed December, 2015. Grant County administrative offices are located at 201 South Humbolt Street, Canyon City, OR 97820; phone: 541-575-1675.